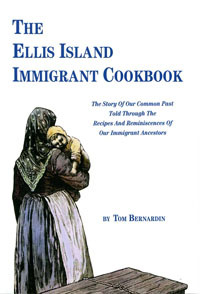 Tom Bernardin, author of The Ellis Island Immigrant Cookbook, is pleased to offer his slide lecture program to your organization. Between the years 1892 and 1954, millions of immigrants poured through Ellis Island on their way to their new lives in America. These people have slowly been absorbed into American life, with their cultures and backgrounds providing the texture for present-day America. 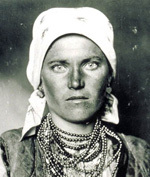 From the decision to leave their homelands, through the miseries of steerage, the fearful examination at Ellis Island, and their early years in America, these immigrants displayed a courage that contains a lesson for all Americans. For many years, however, Ellis Island remained vacant and fell into disrepair. Now, with the restored Ellis Island Immigration Museum welcoming visitors, attention is again focused on its unique and dramatic importance in American history. In this slide-lecture program, Tom Bernardin presents the story of their journey in a touching and informative way. Illustrated with authentic photos of immigrants, the immigration process, and the recently restored facility, the program provides a comprehensive look at this "Plymouth Rock" of America’s ancestors. Town of Greenburg (NY) Dept. of Parks & Recreation Senior Ctr. & many, many senior citizen centers and nursing homes.